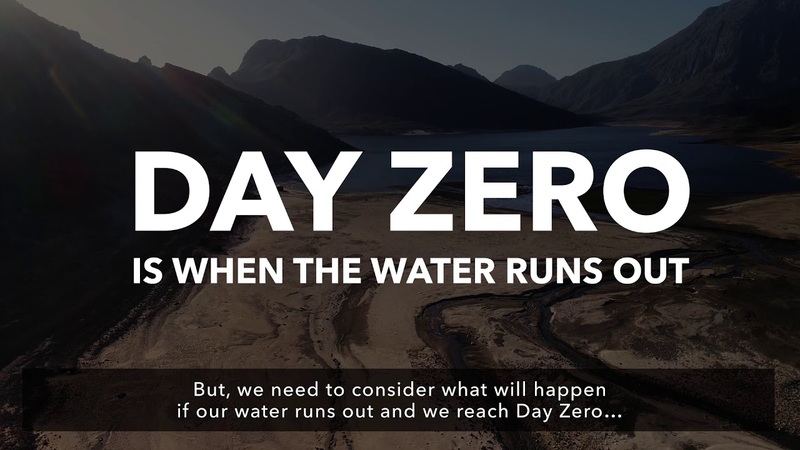 Green Team Gazette: Following Up On "Day Zero"
Water, water, water makes the world go round. My life is sponsored by water these days, between reading Jeff Goodell's "The Water Will Come" and previous writing about Charity:Water and the water situation in Cape Town, South Africa. 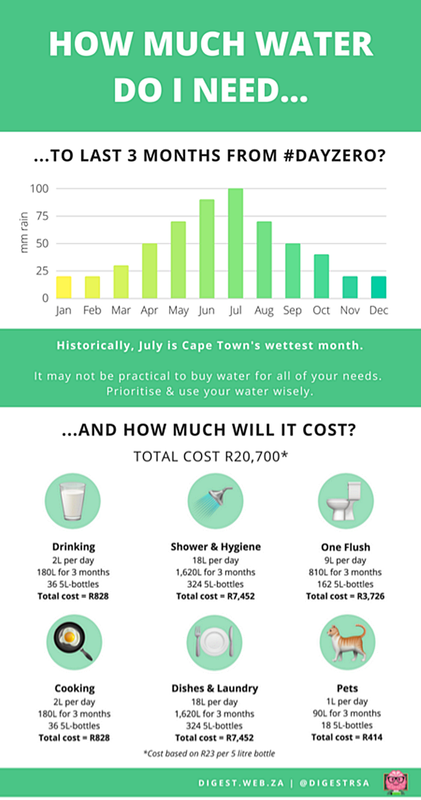 Since my original post, luckily, "Day Zero" (aka: the day the water shuts off in Cape Town) has shifted a few months. Instead of the originally-projected date of May 11th, 2018, it has now shifted forward to September 7th, 2018. This shift is based on the area's local conservation efforts, which of course is certainly a positive thing. In some aspects, a 4-month shift is phenomenal. Take having babies, for instance. That 4 extra months would be significant. While still positive, in a global timeline scheme, 4 months is still saddening. We're talking about fresh water here, so we essentially are talking about life. But at least it is shifting the right direction! 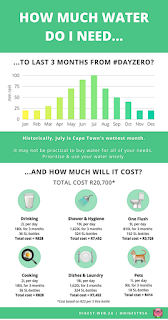 To see a live-time website of the water levels for CapeTownians, check this out. Sadly, you can watch daily as the numbers diminish. As an extra eye-full, this 4 minute video is striking. Derek Van Dam, CNN Meteorologist, and his wife (and infant) do a 24 hour water simulation, attempting to use the required amount of Cape Town Water to see where they get. Having once lived in Cape Town, this challenge is personal to Derek Van Dam and his wife. Could you do it? For me, I found it to be an eye-opener. This Green Team Girl questions her family o'4 and the ability to pull it off to this degree!! It certainly made me reconsider little things like tooth-brushing and bath-taking! As you watch Derek and his wife in action on this challenge, I challenge you. What can you do to live more sustainably? If Cape Town is enduring this now, it's only a matter of time before more communities will be enduring it as well. Climate change is not debatable. Science is science. Drought conditions will lead to more water availability issues. What are you going to do to help... before it's a matter of being too late in your area?